October is Talk about Your Medicines Month, giving us the opportunity to recognize the importance of addressing prescription drug abuse. The National Council on Patient Information and Education (NCPIE) has long been about addressing prescription drug abuse and the role of treatment and a recovery-oriented system of care – as well as developing educational resources to support engagement at the community level. We’ve learned that it’s not enough to say, “Don’t abuse these medicines,” which marginalizes consumers, not giving them the credit they deserve. 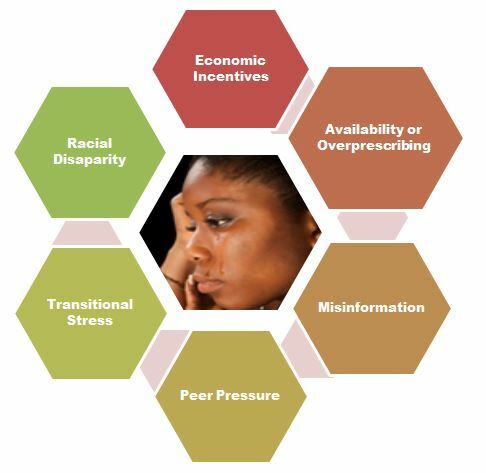 In March 2014, NCPIE convened the Historically Black College and University (HBCU) Campus Dialogue on Prescription Drug Abuse Prevention, Treatment & Recovery, an opportunity to gain a better understanding of this issue from faculty, staff and students. 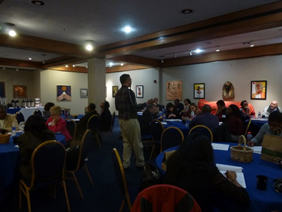 With support from the Substance Abuse and Mental Health Services Administration, we convened over 40 participants for this two-day meeting. Attendees affirmed that the abuse of certain prescription medications has been normalized on some college campuses. While the Campus Dialogue represented a microcosm of colleges and universities, we suspect that you may likely find similar findings on your campus. 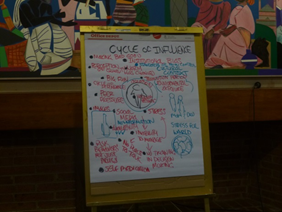 See if you observe yourself nodding, “yes” to the following cycles of influence that participants attributed to prescription drug abuse and addiction. To learn more about the HBCU Dialogue and safe medicine use, contact Ray Bullman at NCPIE, 301.340.3940, bullman@ncpie.info, or check out www.talkaboutrx.org. Photos courtesy of Ray Bullman. October is “Talk About Your Medicines” Month! A post regarding this topic will be coming later this month! These days it is not uncommon to hear about professional athletes getting caught up abusing pain pills, as these stories have almost become commonplace in sports. 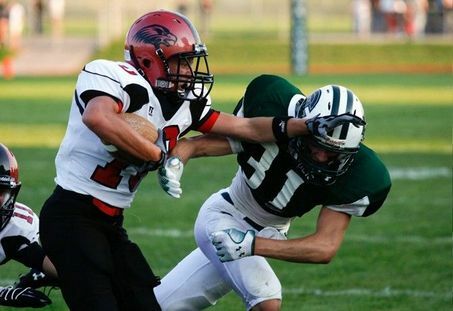 Some athletes will do whatever necessary to stay on the field, and pain pills are becoming more widely used to mitigate sports injury discomfort. Unfortunately, while pain pills might work in the short run by allowing athletes to quickly play again, they are also highly addictive and can lead to future problems much bigger than the original injury. While it may be understandable why professional athletes turn to pain pills (since their careers depend on being healthy enough to play), it is more troubling to see youth athletes using these drugs. In fact, in too many cases today young athletes who are originally prescribed pain pills from their physician later turn to the streets to buy black market pain pills when their scripts expire. If black market pain pills become too difficult to find, or cost-prohibitive, heroin then becomes the drug of choice since it is more widely available and cheaper. Ironically, young athletes who become addicted to pain pills (or heroin) almost always start out by using simply to get back on the field, only later do they become addicted to the drugs due to lacking medical oversight and/or relatively fast physiological addiction. Possible reasons for this paradigm shift pertaining to more pain pill usage in sports include new norms in sports when it comes to pain management, group dynamics (pressures from teammates to quickly play again), fear of loss of starting position, or fears associated with missing future college athletic opportunities because of injuries that otherwise could be controlled for by using pain pills. These new pressures, group dynamics, and future sport goals sometimes converge to create a “perfect storm” where otherwise healthy, level-headed kids uncharacteristically consider using dangerous pain pill drugs. Many young athletes (and their parents) begin the journey very early on when it comes to the pursuit of a full-ride DI athletic scholarship. Though only about 3-4% of all high school student athletes will ever earn a full-ride, hundreds of thousands more will try their best with the hope of being one of the lucky few. Along the way, it is almost inevitable that injuries will occur, and in some cases the injuries will be so severe that they jeopardize the chances of earning a full-ride. It is in these instances where some kids (sometimes with parental influence) elect to do whatever is necessary so that the injury is quickly addressed — even if this means abusing pain pills. Coincidentally, even young athletes with little to no hope of ever earning a full-ride scholarship are also at-risk for unforeseen drug abuse and dependence, mostly because prescription pain pills have almost become commonplace for rehabilitation recovery protocols. Ironically, this new wave of drug addicts are very different than the traditional recreational drug addict who voluntarily chose to use street drugs to get high — in the case of the addicted athlete, the addiction occurs not because the athlete wants to get high, but instead because of the perceived value in these drugs as they apply to quickly getting back on the field again. Healthy training and injury recovery methodologies in sports need to be closely examined and scrutinized, especially at the youth sport level. Please check with your physician about the many ways to control for pain aside from prescription pain pills, including relaxation techniques, imagery, physical therapy, and proper rest. Coming back from sports injuries too soon may cause bigger problems with pain pills and addiction, and might also send an athlete back on to the field too soon (which, ironically, may lead to more permanent long-term damage). For more information about healthy training in youth sports please visit www.drstankovich.com or follow me on Twitter @Drstankovich. Photos courtesy of Chris Stankovich.